Each has its place in the golfing season on the Grand Strand! When playing golf, a lot of factors can effect how well you play the game. Your clubs, equipment, skills, and swing are all very important, but have you ever put into consideration your surroundings? The weather can affect where your ball goes, but so can the grass. There are many varieties of grass that all affect how you play the game in different ways. Putting is especially affected by the type of grass, the quality of the grass, and how the grass is cared for. Here are some of the most popular types of grasses used on golf courses in Myrtle Beach. They each have their benefits, some pertaining to their resilience in the southern heat at Myrtle Beach golf courses, and some pertaining to how much needs to be done for care and maintenance. When you can understand how the grass you stand on affects your game, you can learn how to take better advantage of it. Some species of Bent Grass are used for home lawns, but they are also very popular on golf courses due to their many advantages. First, it can be mowed very short, even without getting damaged. This is important for all parts of a golf course. It is a tough grass that can handle a large amount of foot traffic and walking. It is not fragile and easily broken by constant use as other breeds are. It is very easy to grow due to its thick, dense, and shallow root system. Fast, easy growing helps to keep the lawn looking good on a regular basis. The deep, green color is very pleasing to the eye as well allowing for beautiful courses to play on. A common bent grass species is Creeping Bent. It is used almost exclusively on golf courses, more specifically putting greens. Creeping is ideal for golf courses, whereas Common bent is used for home lawns. Velvet Bent is a gorgeous grass species that isn't used on golf courses as often because it takes a lot to maintain. Bent grass does fairly well on putting because it can be cut short, but it may not be ideal. The different varieties of Bent Grass have been evaluated extensively on golf courses in the past, including A-1/A-4 bent grass variety. It is recommended often for new putting greens. It has been proven to be one of the best performing grasses on some of the most well-recognized golf courses. Cape Fear National Golf Course is one of few golf courses in Myrtle Beach that use A-1/A-4 bent grass in their golf courses, yet it is still very well respected due to its resistance and ability to stand up to golfing and foot traffic. These benefits are better on the affordability and care of the greens, not necessarily how well the golf ball moves. L-93 Bent grass has many great benefits for golf courses all year round. It has excellent winter hardiness and summer density. It has a rich, dark green color and is very resistant to Dollar Spot and Brown Patch. Resistance to disease makes it a more affordable option. Its dense, upright growth is perfect for a golf course. However, it is not too dense. A grass too dense requires more maintenance. This species of bent grass if most often uses for tee and fairway grasses. It is not ideal for putting. Both Pearl East and Pearl West, located in Sunset Beach, South Carolina, use L-93 bent grass on their golf courses. Bermuda grass, also known as cynodon dactylon, is native to Africa, Asia, Australia, and southern Europe. It has short, grey-green colored blades with long rough edges. It has a deep root system that forms a dense mat. It is usually cultivated in warm climates. In the U.S. it is usually found in the south where the climate is warmer. It is tough and grows fast. Because of this, it is often used for sports fields because it can stand up to a lot and recover very quickly. It is very drought tolerant due to its deep root system. All of these attributes make Bermuda grass a great grass for golf courses in the south, especially Myrtle Beach. Bermuda grasses are much more popularly used for putting because they let the ball glide across the green. Emerald Bermuda grass is another great grass for putting greens. 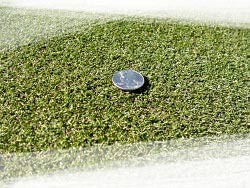 With its unique growth, it creates a firm and tight putting surface. Just like other Bermuda grass, it is tough and very resilient against constant usage and changing climates. It has a deep root system that allows for great putting. However, it does require more maintenance than other types of grasses. It needs to be constantly mowed, watered, fertilized, etc. and it needs to be done very carefully and precisely. An example would be at Founders Club @ Pawley's Island. 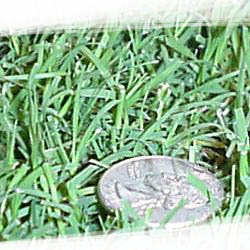 Tifdwarf Bermuda grass (commonly spelled Tift Dwarf) is a grass that has been used extensively in the past on golf courses, but is less popular today. It isn't usually grown on newly constructed courses because there are better choices such as Mini Veri Bermuda. Tifdwarf is a fine blade and it is a dark green color. It, too, has a deep root system. It can be mowed very short, but it has a lot of required maintenance to keep it growing and looking well. It is a great species of grass, there are just better choices out there, especially for putting. Tradition Club golf course has this grass. Champion Bermuda grass originated from Texas. It is another Bermuda grass with a great root system. It also has great lateral stem development, more so than Tift Dwarf Bermuda. It can tolerate short mowing, which is ideal for golfing. 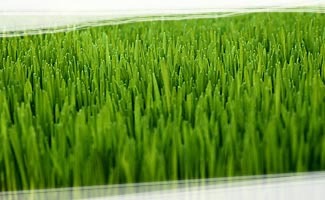 It is an excellent grass for putting, and it is also a dark green color. As you can see, Bermuda grass species are ideal for putting greens because they have a strong root system, and they can be mowed down very short. This allows for faster putting. Check out Arcadian Shores for this grass. Champion Ultra Dwarf grass carries on many of the benefits that other grasses do ideal for putting. Putting requires a short, smooth, and resilient surface. Bent grasses have often been replaced by it because bent struggles in warmer climates, especially when used on high traffic putting greens. Champion is great in hot and warm weather. It has a strong root system and is resilient to the heat. Many golf courses have even replaced the bent grass on their courses with Champion Ultra Dwarf grass. While many Bermuda grasses are great for putting, they require a lot more care because it can be beat up more easily. It still requires a lot of work to maintain and care for. River Hills golf course uses this type of grass. Jensen Ultra Dwarf grass is used on a few Myrtle Beach golf courses. Ultra dwarf stands up to much warmer climates, which is ideal in the southeast. Carrying many great characteristics of a strong root system and short mowing capabilities allows it to work well on golf courses. 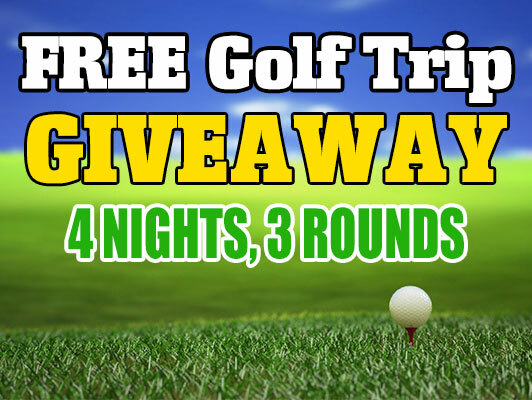 Although it is not extremely popular, it is a great choice for southern golf courses. Diamondback @ Woodland Valley course uses Jensen Ultra Dwarf. By understanding how each type of grass affects the movement of your ball, you can alter your putting strategies. Always know beforehand what you will be playing on so that you can make the right choices.